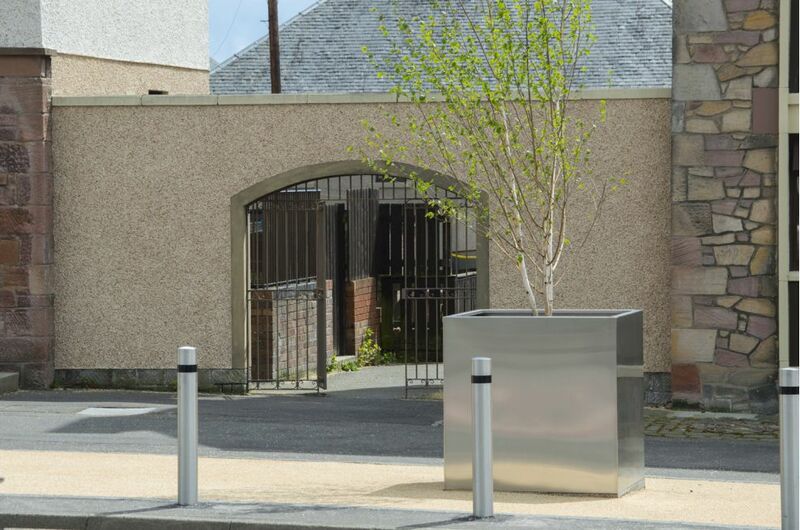 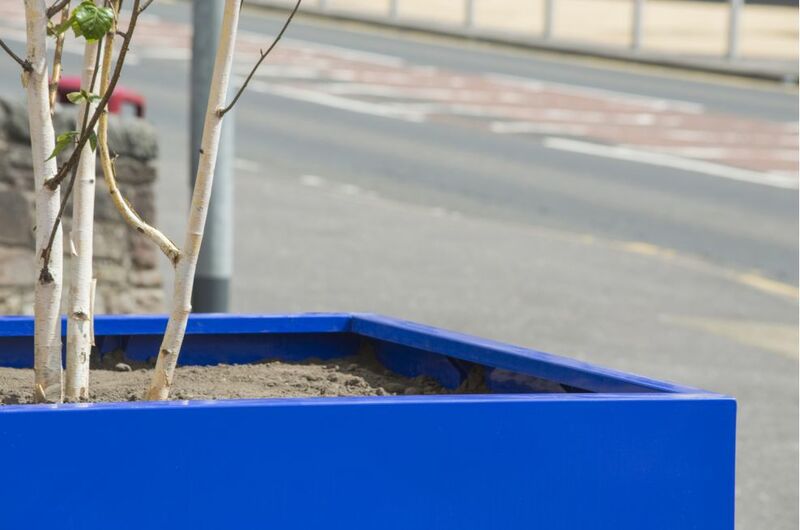 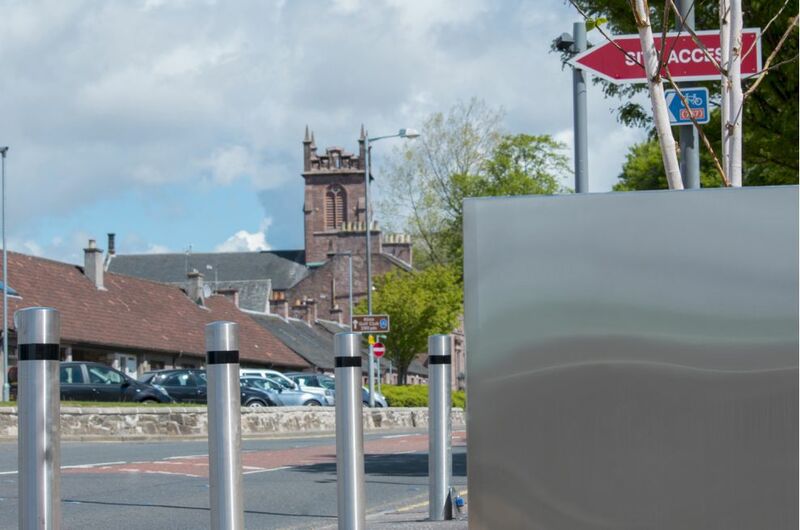 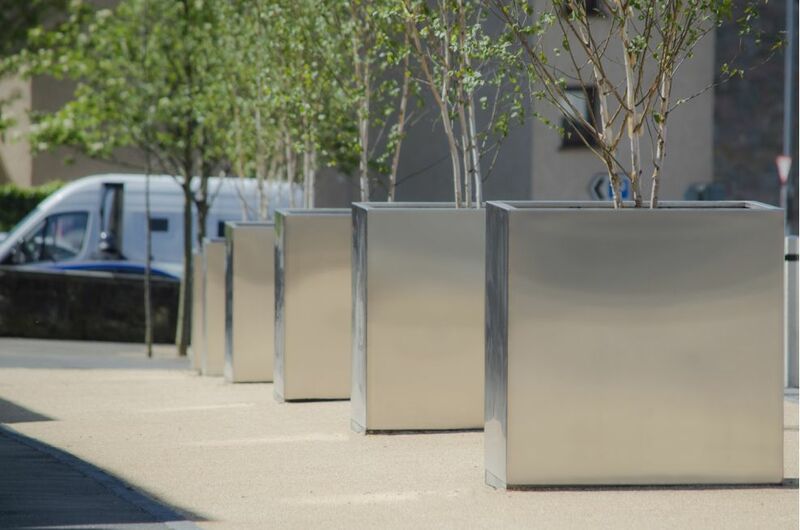 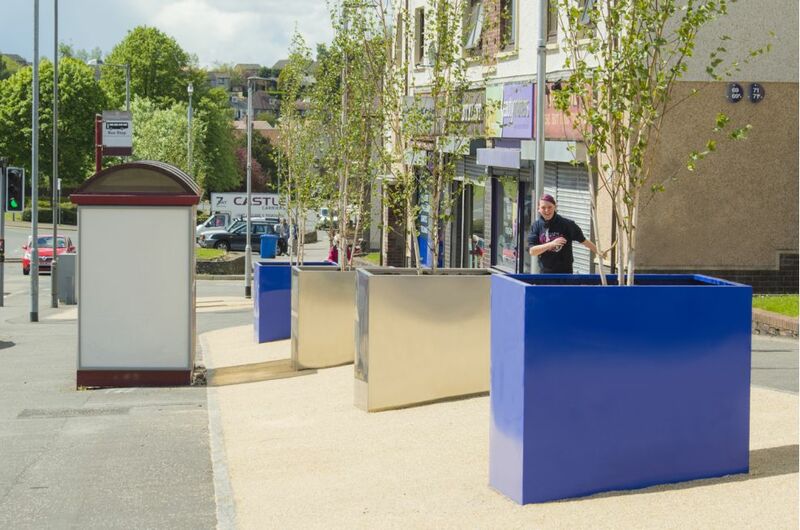 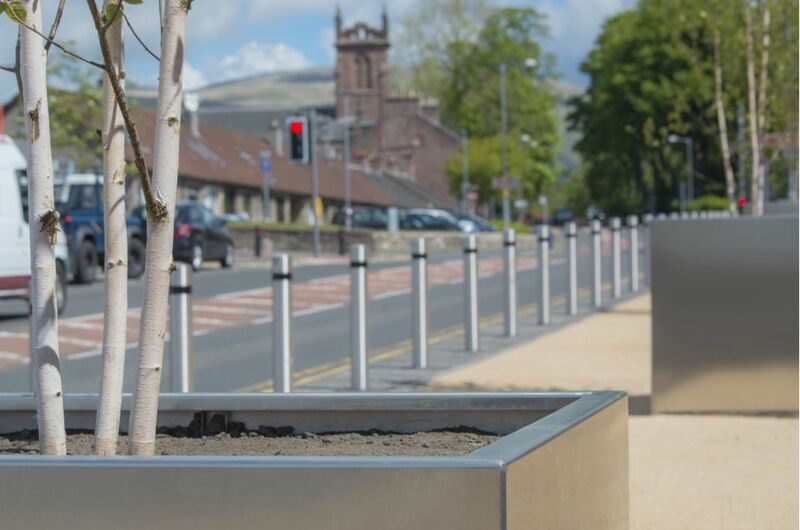 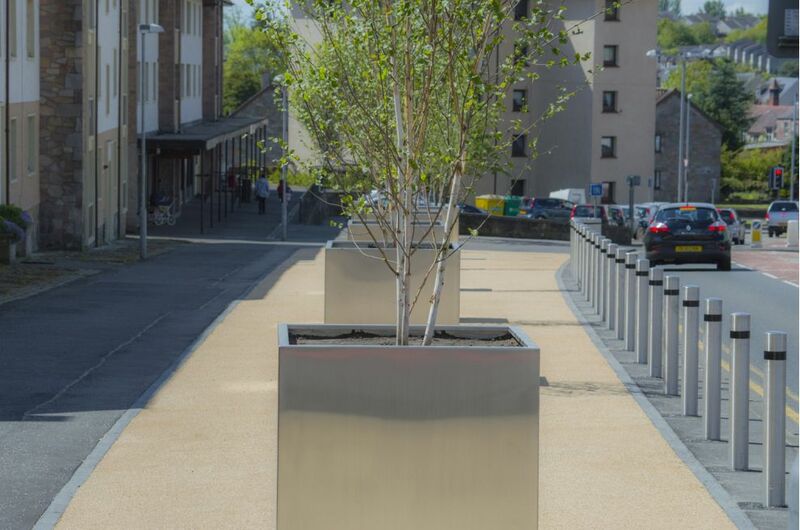 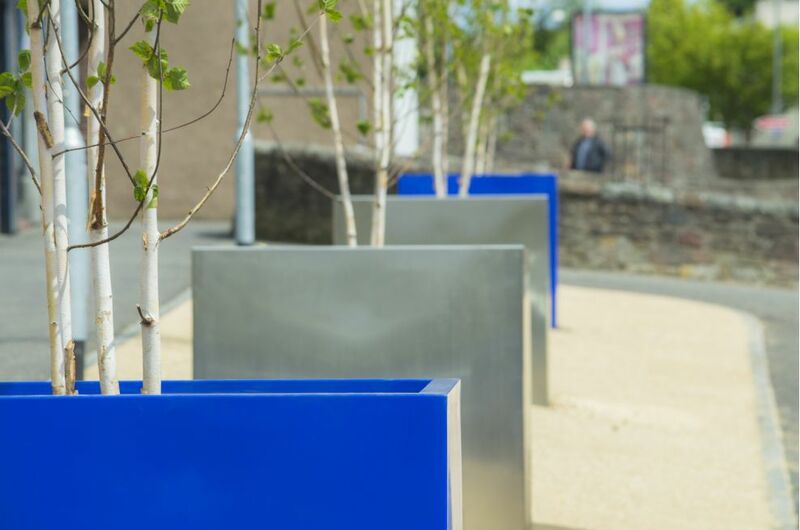 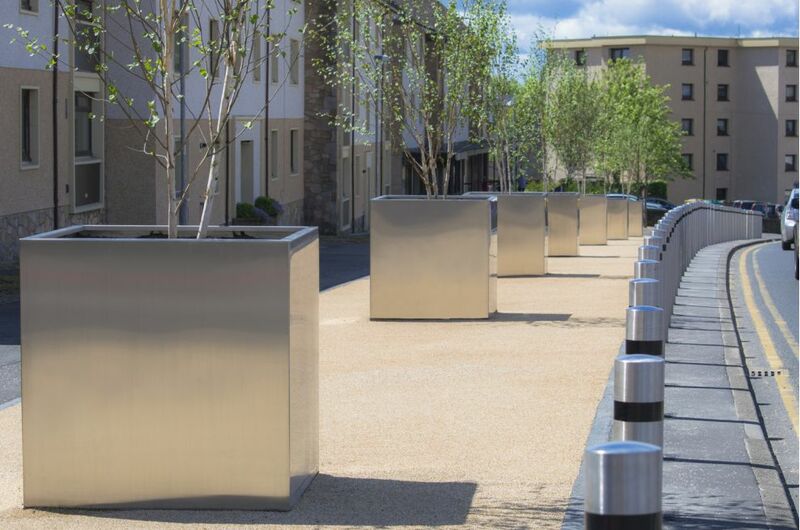 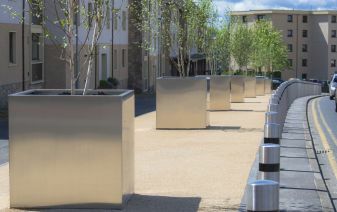 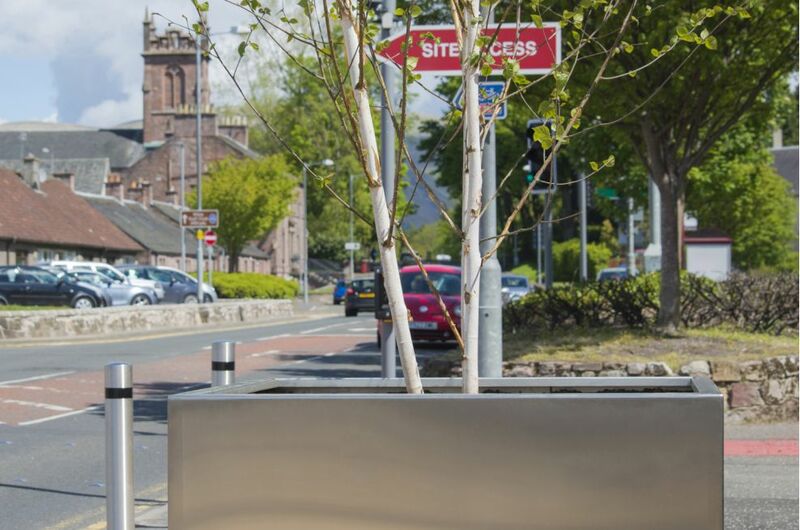 Bespoke stainless steel tree planters were commissioned by Clackmannanshire Council, as part of the authority’s Village and Small Town Centre Initiative. 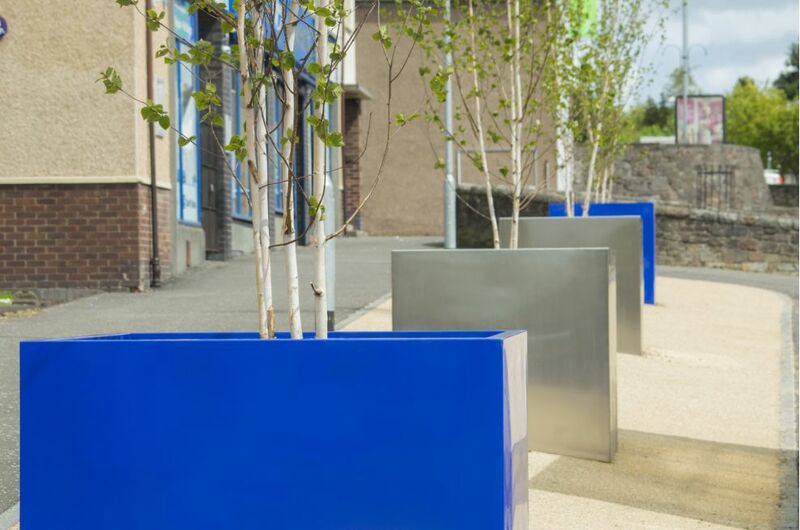 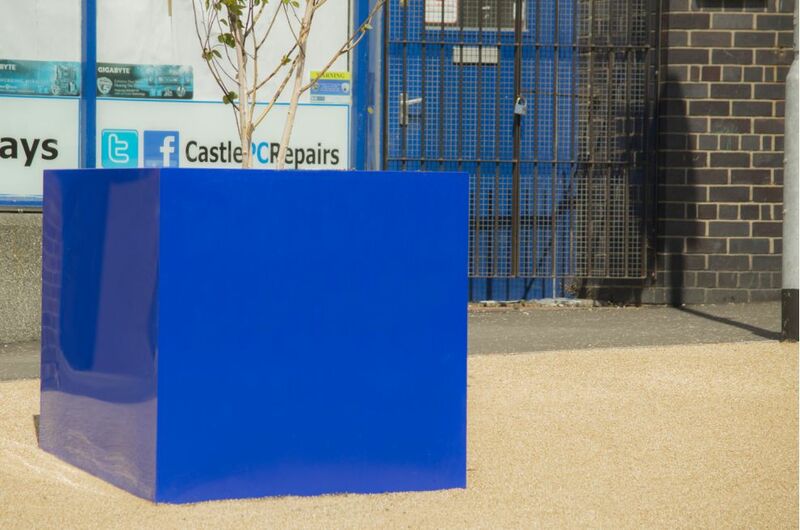 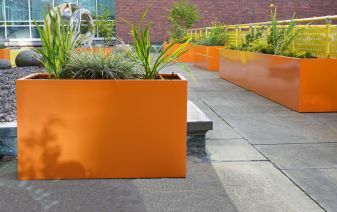 The planters were installed in the Main Street of the village of Sauchie, replacing outdated concrete raised planting beds with a modern landscaping scheme. 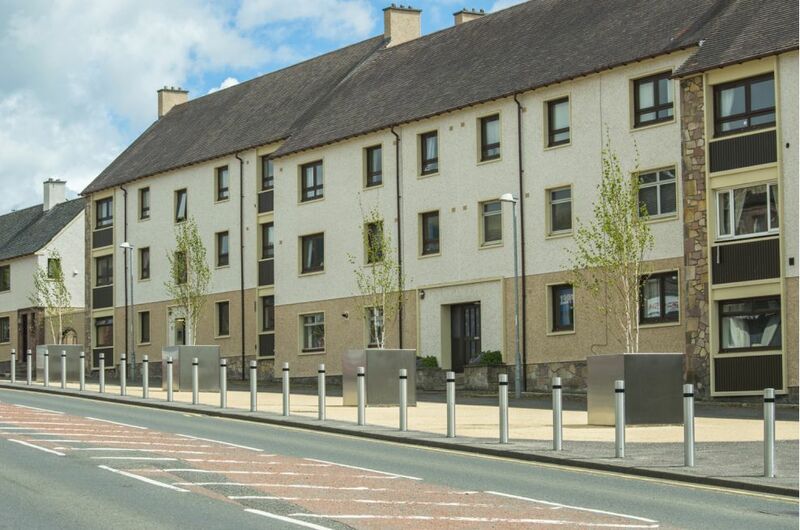 Main Street’s pavements were also resurfaced, and traffic signals replaced, as part of the regeneration initiative; and further phases will include refurbishing Council-owned properties in the village.